The making of Sunset Meadows goes back to as early as 2003. The Schneiders (Adam and Heather) lived in Calgary, but the seeds of discontent were in the making. We bought our first home at a reasonable price, then sold it and bought a larger place, also at a reasonable price. In 2006, home prices stopped being reasonable, and I realized that we were never going to own anything better than the small, run-down townhouse in a bad part of town, unless we wanted to pay $1,800 for a monthly mortgage rate for 25 years. Other discontents came in. Neighbors were a constant irritation, playing loud music late at night, using drugs in their back yard, destroying and stealing property. Adam wanted a garden, but there wasn't any room, nor enough sunlight for it. In 2007, prices hit their highest point, and the we decided to sell, and start looking for land in a serious way. Getting land had been a "future" consideration for some years, but the timing was good, and wasn't getting better. Selling was a pain, prices had begun to slide down in 2008, but it was accomplished, and at the same time, a piece of land was listed in a distant county called "Vulcan County". It was (and still is) more than an hour from our previous home, but the price was unbelievable. A price like that has never been seen again! We traveled to see the property one evening in 2008, and just as we were leaving, Heather commented on how the sunset settled over the rolling meadows in a very picturesque way. The name "Sunset Meadows" was born of that. 2016 has been a banner year for our farm. We purchased a small flock of sheep and started learning the ropes on raising them. Our fencing had to be improved, and dugouts constructed, but we are settling in, getting ready to harvest our first lamb crop, born right here on the farm! We plan to expand our flock to 125 ewes, which will deliver 200 lambs in 2017. To that we will add our largest run of free range chickens ever, as well as turkeys. 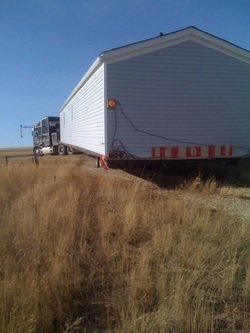 We moved in 2008, and endured some painful adjustments, as we literally built a home on top of nothing but wild prairie! We put a mobile home out, but a home is just a start. We had to put a septic system, build a driveway, put in propane, set up an off grid renewable energy electric system, and try to get clean water established. In the end, everything but the water was accomplished, and we spent a couple of winters without running water until we buried a water tank underground. I have spent thousands of hours on projects, from building a shed where the chickens live, to a failed attempt at a straw-bale workshop. I have become very skilled at improvising fixes, repairing every sort of breakage, plumbing, electrical work, small engine repair, and carpentry. I have cut easily 50 cords of wood, all of it free, and we have survived 3 very cold Alberta winters out here. Every year, we gain a little bit of stability and independence. Just this year, we added solar panels and chickens to our lifestyle, two of the most valuable things I've ever done. The land has been slowly transforming. We have planted over 400 trees, including berry bushes and fruit trees. A large garden area has been slowly building fertility, and by 2013 should be ready for an excellent garden year. Many experiments have been made, some successful, and some not so much, but every failure brings invaluable lessons. "Everything living has a purpose. Find that purpose, and make it work in your system." Most farms are trying to bend God's Creation to suit their purpose. They plant thousands of acres of one plant, spray poisons on the ground to eliminate "weeds" and insects, then burn tens of thousands of barrels of oil to get that food to market. We have a different, opposite method. We are planting hundreds of varieties of trees, shrubs and other plants. We allow the weeds to grow, and the insects to come. We rely on the diversity of our plant life, and the presence of animals like chickens to suppress harmful insects, and control weeds. Eventually, our land should look something like a forest, where no man sprays, plows or trims except where it may be useful to promote one plant where we would like it to grow. Cattle will graze between rows of trees and bushes, and there will be plantings of vegetables in remote spots, where you might not expect them to survive. Yet, they will, and no one will need to water them! How is that possible? Permaculture. Google it, and you will find a treasure that not one person in a thousand has seen! Of course, it may sound easy, but there is a lot of work ahead. A lifetime of work, I hope! Unlike many people, I actually like to work. I would be quite bored and unsatisfied if I didn't have some kind of challenge to keep me thinking. Right now, I have plenty to keep me satisfied, in fact, maybe too much, haha. Not enough you say? You want to see it for yourself? Call me, I would be happy to arrange a tour. You might be surprised at what a determined person can accomplish in just a few years!